For nearly 50 years William Youngerman, Inc. has maintained a stellar reputation based on integrity, personal service, knowledge and quick payment. We have built major collections of U.S., World, and Ancient coins and currency for our clients. Since 1971 we have maintained a large precious metals division with competitive two way markets in all major products. In an uncertain world make sure your dealing with a company that’s been around for nearly a half century. Our reputation for having a variety of rare graded U.S. and World gold coins and currency make us a sought-after company for collectors and investors alike. We stock all major Gold and Silver Bullion products for immediate delivery, allowing you to physically take possession of your gold, silver, and or Platinum immediately after payment unlike other stores that have to order it while you wait. We offer appraisals at no charge if we purchase the collection. We offer house calls by appointment to accommodate our customers along with bank vault visits to appraise the contents and will provide a written immediate offer. Along with other local, state and national organizations. 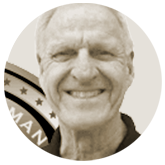 Hi, I’m Bill Youngerman and I’d like to tell you why I’m so passionate about coin collecting. You may find this hard to believe, but I’ve been an avid coin collector since I was nine years old. That’s right, nine. At 12 I did my first real trade and have never looked back. The next year I talked my way into opening a small coin department inside a Miami hobby store. This taught me a lot about the coin collecting business at a very early age. At 16, I took a job working for one of the major Florida coin dealers. At the same time I operated a mail order coin business from my home. My dreams became reality in 1967 when I opened my first full-fledged coin store, William Youngerman, Inc. Since then I’ve grown the business into one of the oldest and largest coin dealerships in the South.